Ant Farms: Tips for buying Ant Farm Aquariums and Ants. Study Formicidae Behaviors - Own an Ant Farm. Ant Farms: Tips for buying Ant Farm Aquariums and Ants. Study Formicidae (ant) Behaviors with an Ant Farm. They are great educational hobbies for children. Ant farms make great educational hobbies, especially for children. Although very tiny and unable to survive on their own, ants work together large family groups called colonies. Because ants are eusocial*, have specialized divisions of labor within the colony and demonstrate effective communication and self-organization, individuals devote their lives and work in unison for the good of the colony. Thus the colony, behaving as a superorganism*, thrives as though it was a single organism of a higher order. Adults and children alike are often curious about what ants do underground, since most ant nests are subterranean and many of their activities take place obscured from view. But with the aid of specially constructed colony containments, called ant farm aquariums, one can study Formicidae behaviors and view their day-to-day subterranean activities with ease. Suitable ant farm aquariums allows one to observe how ants dig tunnels and hollow out chambers, where they store their food, how they take care of their larvae and eggs, how they groom the queen and how they keep the chambers clean. You can monitor how each ant socializes with other ants and how individuals behave and work together for the good of the colony. No matter the species, numerous activities take place in ant colonies all of the time. That is why ant farms are considered educational hobbies and great hobbies for children, age 7 and up. Many teachers share this educational experience with their students by keeping an ant farm in their classrooms, so children can observe and learn about various Formicidae (ant) behaviors. 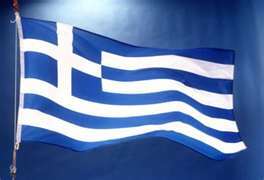 *Eusocial: Eusocial insects are characterized by cooperative care of the young, sterile worker castes and the overlapping of generations. For a more complex discussion of eusociality see: http://science.jrank.org/pages/48425/Eusocial-Insects.html . **Superorganism: A conglomerate of eusocial* individuals that depends upon the collective social successes of the group to survive. By way of a specialized division of labor within the colony, effective communication, and self-organization, individuals work together and behave as though it were a single organism of a higher order. There are many size and shape variations of ant farm aquariums on the market today but all are either the sand-filled, "traditional" type or the gel-filled, "space-age" type. Each type of aquarium filling has its' pros and cons. Most ant farm aquariums today are filled with a nutrient rich, colored gel that is translucent and provides your ants with a continuous source of food and moisture. This type of "nutrient plus moisture" self-contained ant farm aquarium was developed by NASA for the purpose of launching a small colony of harvester ants into space aboard the space shuttle Columbia. During 2003 they did so to study the effects of 16 days of micro-gravity on Formicidae (ant) behaviors. When you purchase a gel ant farm aquarium, you get all of the items you need to set it up for one affordable price (minus the ants). Since the gel contains the moisture and nutrients ants require, there is no need to feed or water your colony. Upkeep is minimal except for occasional cleaning of the habitat, which you must do since ant farms are small, closed systems and worker ants - responsible for the health of the colony - are unable to remove debris and dead ants from the habitat. Although not transparent, translucency of the gel allows observers greater dimensional views of tunnel structures as compared with the sand-filled variety . Translucency also supports thicker aquarium depths that allow ants more room to create larger dimension tunnels & chambers, but also results in increased interior viewing for the observer and less direct, "against-the-glass" viewing (watch "ant farm videos", below). An often thought of question is, "how long does the gel last?". 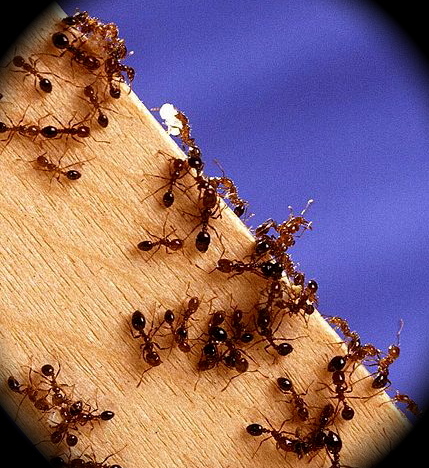 Under normal conditions, AntWorks™ gel is said to last for one year and can be used for multiple generations of ants. Other brand aquariums mention that the gel will support ants for their lifetime, which can vary. Most often, which ever brand aquarium you choose, company replacement gels for existing aquariums are not sold separately and new units must be purchased. There are internet sites where semi-solid, ant habitat gel replacement is available, but the process of home gel preparation for application is hazardous since it must be boiled in a microwave until liquefied and can result in severe burns if spilled. Many gel aquarium kits come with decorative, colored low-voltage LED lighting that bathes the clear gel with color, accenting tunnels. The gel is a foreign substance to the ants and they take longer to adapt to these new conditions. 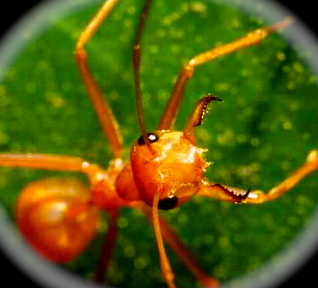 They move and tunnel slower in gel and starter tunnels, made with a tool when setting up the aquarium, should be present before ants are introduced into their new environment. Sand-filled ant farms require more work. In addition to making sure your colony stays clean, your ants must be fed and watered on a regular basis. Sand-filled aquariums are closer to the ants' natural habitat. This facilitates adaptation to their new environment quicker and being able to move through sand with more ease than the gel, they begin tunneling faster. The decreased depth of sand-filled aquariums means more "against-the-glass" viewing than gel, but tunnels and chambers tend to be narrow and smaller. Sand tunnels are also more fragile and subject to cave-in's if the unit is bumped or jarred. For the do-it-yourself ant farm hobbyist, nothing can beat a traditional sand-filled aquarium that you construct yourself. I suggest you check out this website for how-to instructions on the many ways one can construct ant farm aquariums. There are two ways to populate your ant farm. You can purchase ants from a supplier or catch them on your own, locally. Western Harvester Ants, Pogonomyrmex occidentalis is the species most often used by suppliers of ants for ant farms. NASA chose this species when they launched ants into space aboard the space shuttle Columbia because they are tough and large enough (5-6mm long) to observe as they go about their daily routines of tunneling, feeding, cleaning up and communicating with each other. It is for these same reasons that live ant suppliers use them and also because this species adapts well to aquariums of all sizes and they are large enough not to escape through ventilation holes of the habitat. Ants sent by suppliers are worker ants. They will not reproduce. The nest will not be growing and there will be no young. Thus any size aquarium will be adequate. Eventually, workers succumb and you will have to replace them with other workers. How long your ants live is variable and dependent upon many factors such as: the species (known when purchased by a supplier), how old they were when you received (or procured them), how well they adjusted to their new environment and how you cared for them. 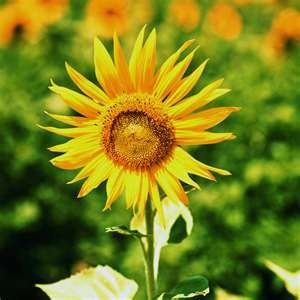 Longevity rule-of-thumb for workers is between one and six months, in some instances one year. No queens (by law) are shipped. This prevents the introduction on non native or invasive species into a new area. Worker ants demonstrate a variety of educational, observable routines but reproduction, care of the eggs, larvae, pupae and observation of the complete metamorphic processes are not among them. If you choose to experience any of the above, you must procure a queen to establish your colony and make sure you have an aquarium large enough for an expanding nest. If you choose to begin your colony with a queen, the best way is to capture a local, newly mated queen during her "nuptial flight". Removing a local, existing queen from her colony will destroy the entire colony if the colony is monogynous (having only one queen to the nest). Worker ant procurement can be done with ease from a local nest. Worker ants are usually found scurrying around outside of the nest. All ants must be obtained from the same nest. Mixing ants from two different colonies will incite a war and they will annihilate each other. Choose large-size ants. 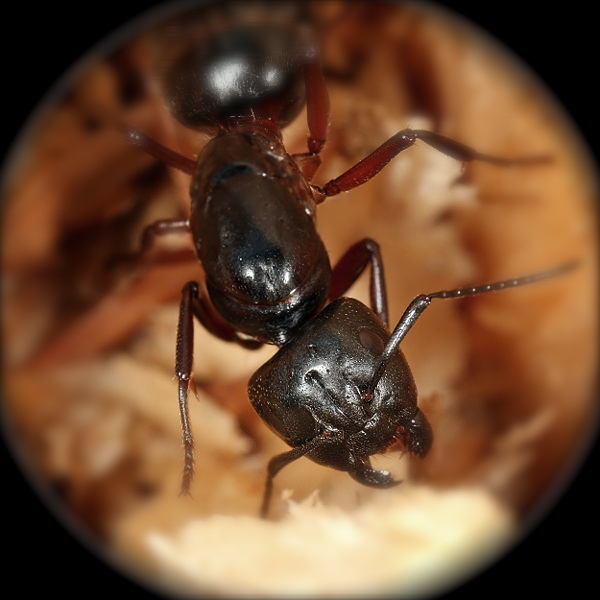 Larger ants are easily observable and will not fit through air intake holes of most aquariums. Know what type of ants you will be harnessing. Identify them beforehand and be familiar with their characteristics. Make sure they are the kind you won't mind being around, in case they escape or bite you. For instance: avoid army ants, although large they are very aggressive. Avoid fire ants. Besides being too small to observe, they have painful stings and can fit through air intake portals and escape. If your choice is to begin a reproductive colony, the best way (mentioned above) is to capture a local, newly mated queen during her "nuptial flight". It is frowned upon to remove a local, existing queen from her colony, since this will destroy the entire colony if the colony is monogynous (having only one queen to the nest). There is a lot of information online about the various types of ant farms offered. Take some time to read about them so you can be sure to invest in something that will be easy to set up and fun to look at. In general, your aquarium should give you a good view of the activities which take place within the ant colony. As for the ants, well - you can decide what types of ants to colonize and whether you want to buy them from your local pet store, purchase them online or just go out and collect them yourself! Ant farms are great educational hobbies for young and old alike. Directions: Copy & paste entire channel video code, beginning with the "v"(see below), into u-tube search box. To locate u-tube search box, place cursor over the last icon to the right at the bottom of the player. Small box will open, then click the first icon just above. info-now.org/ants offers Ant Farms, Types of Ant Farms, Tips for Buying Ant Farms, Ant Farm Aquariums & Ants . Pararas-Carayannis, Carolyn (2010). Ant Farms: Tips For Buying Ant Farm Aquariums and Ants. Info-Now.Org Website: http://info-now.org/ants/AntFarms.php . Ant Farms: Tips For Buying Ant Farm Aquariums and Ants by Carolyn Pararas-Carayannis Provides information about the different types of ant farm aquariums and the pros and cons of buying ants vs. harvesting your own. Once our link is placed at your website and you email us with the address, we will be glad to reciprocate and place your link on our Reciprocal Link-Exchange page.